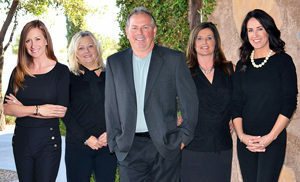 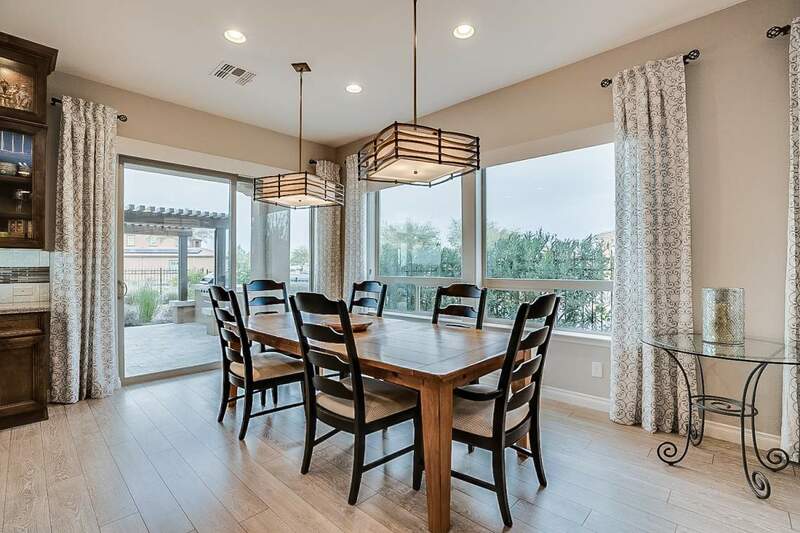 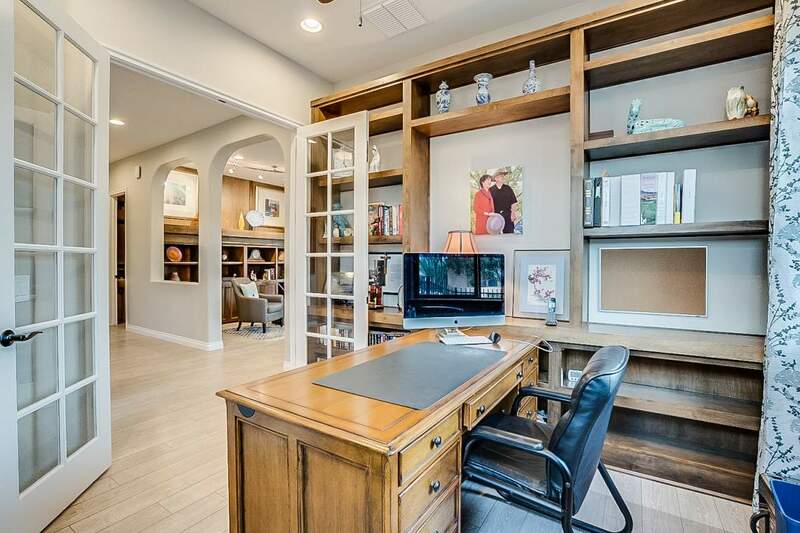 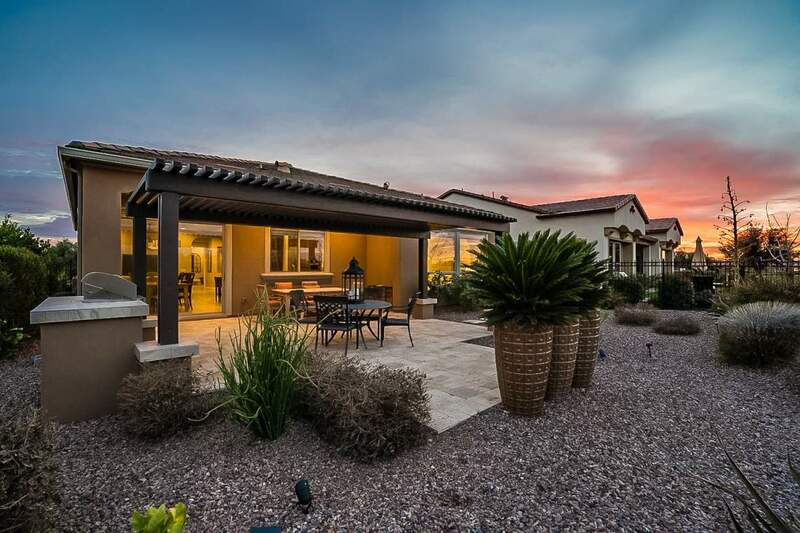 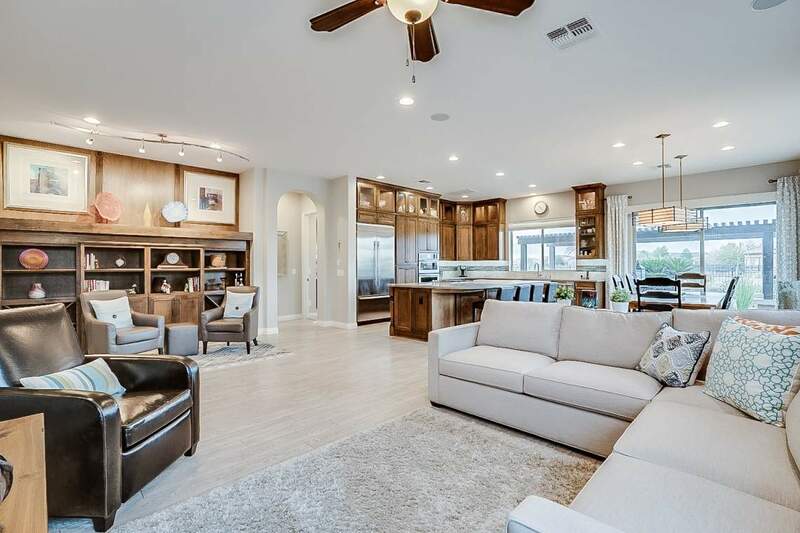 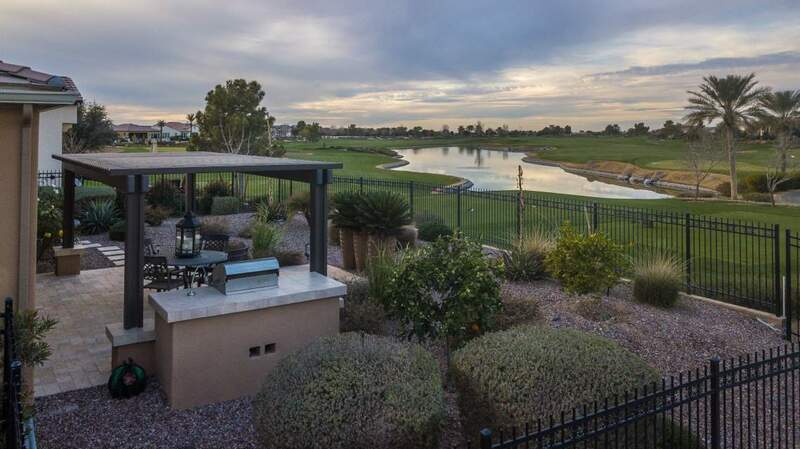 Home > REDUCED PRICE I Stunning golf and water views in this beautiful Captivate plan at Encanterra! 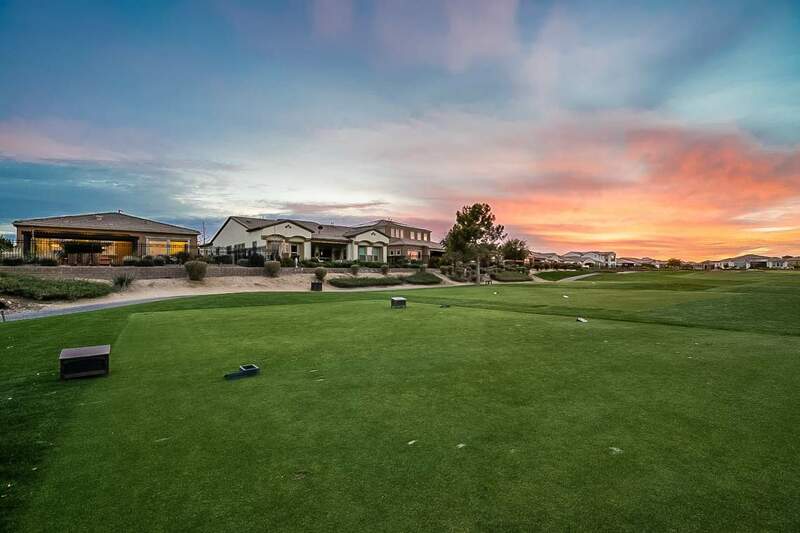 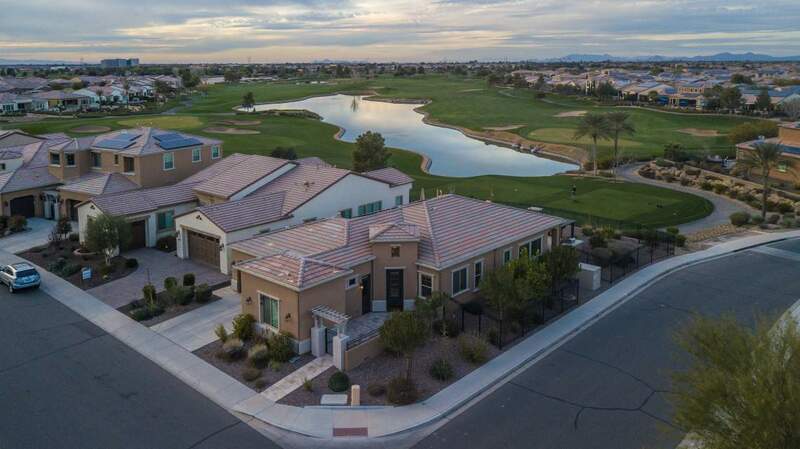 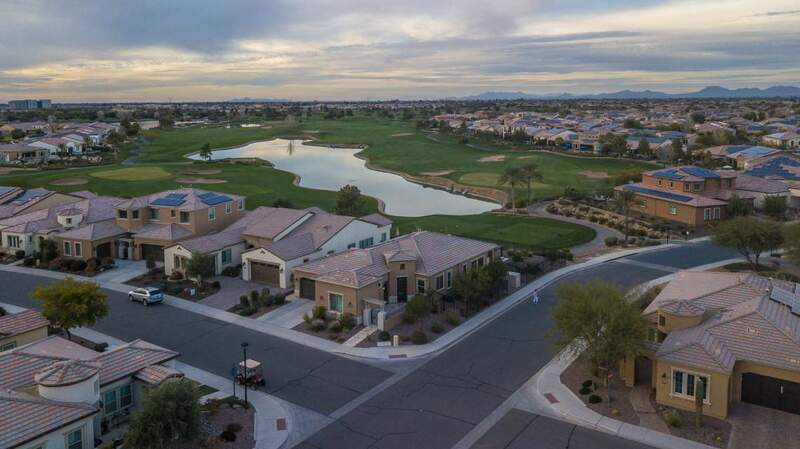 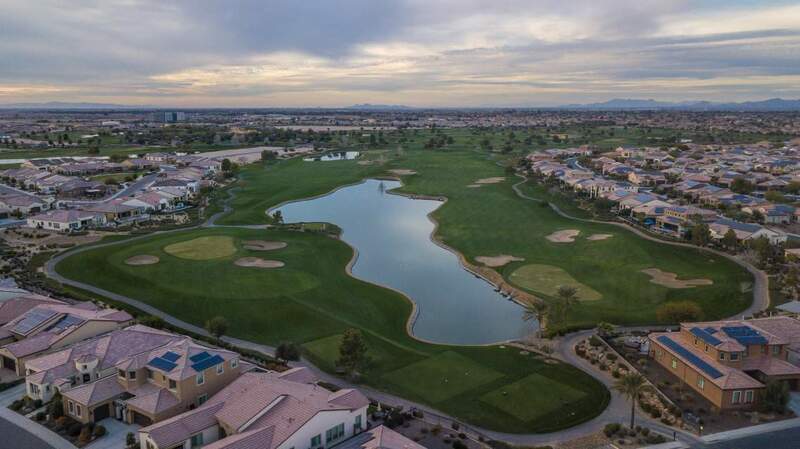 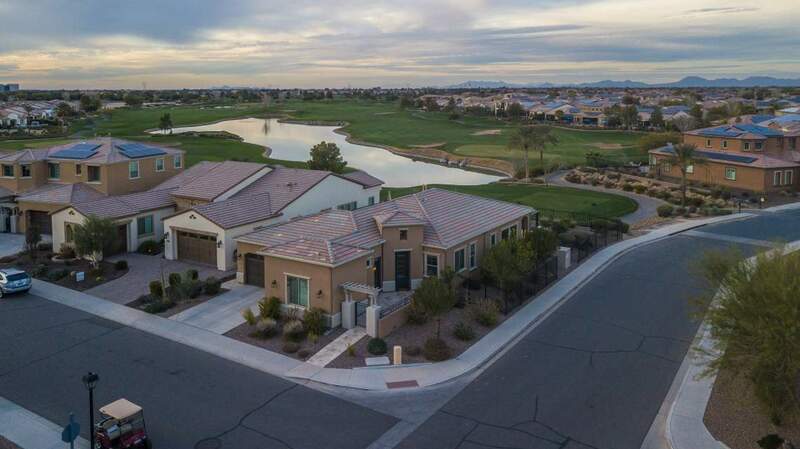 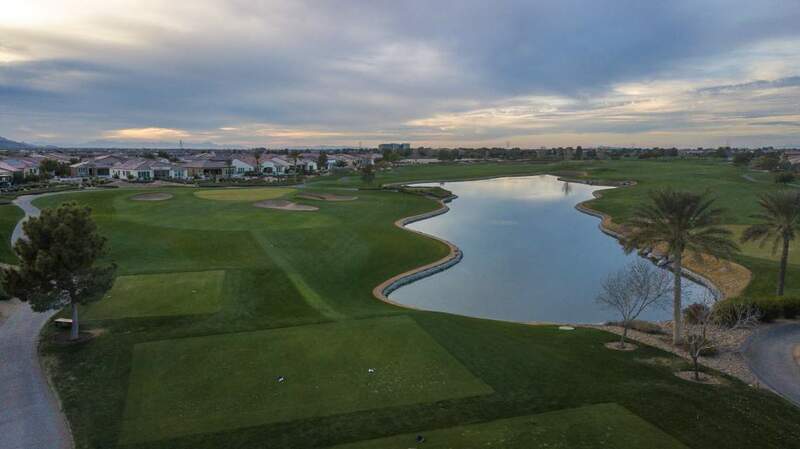 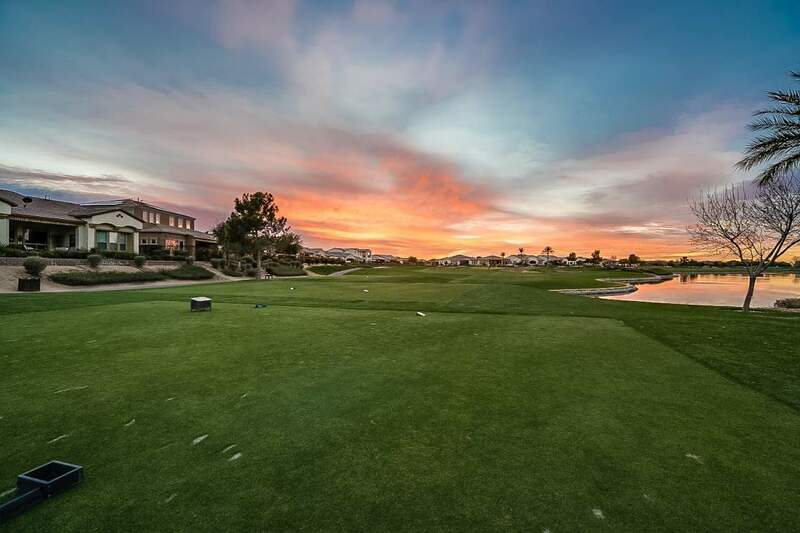 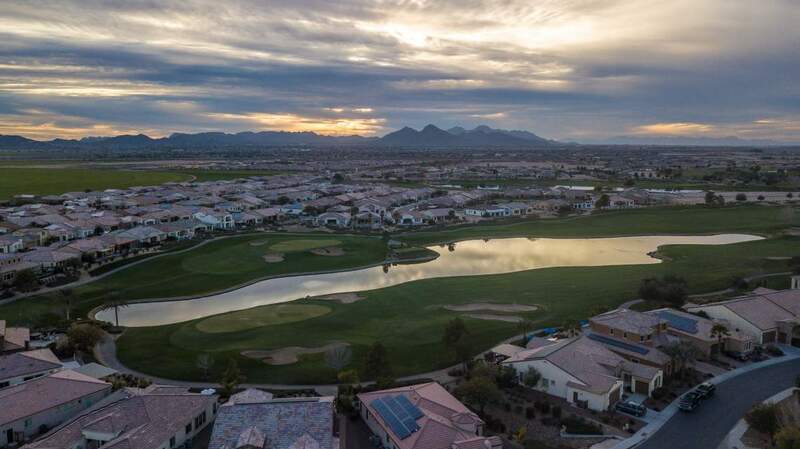 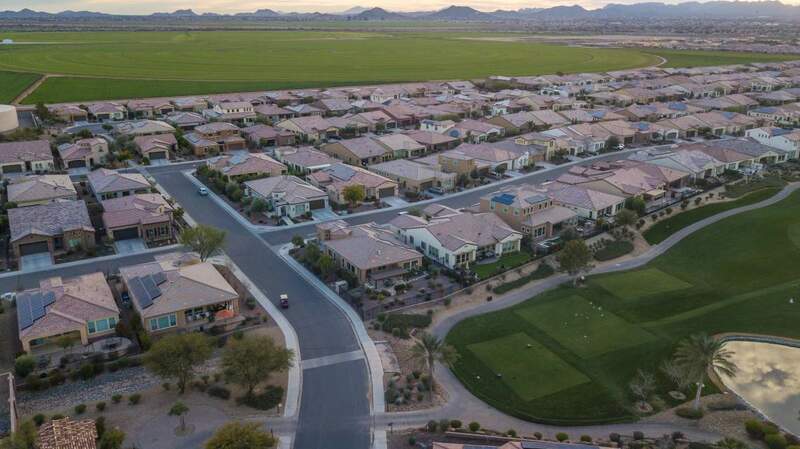 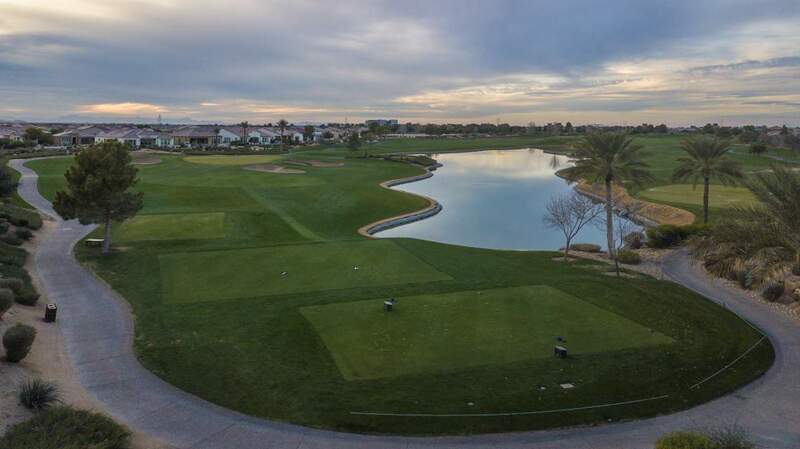 Stunning golf and water views in this beautiful Captivate plan at Encanterra. 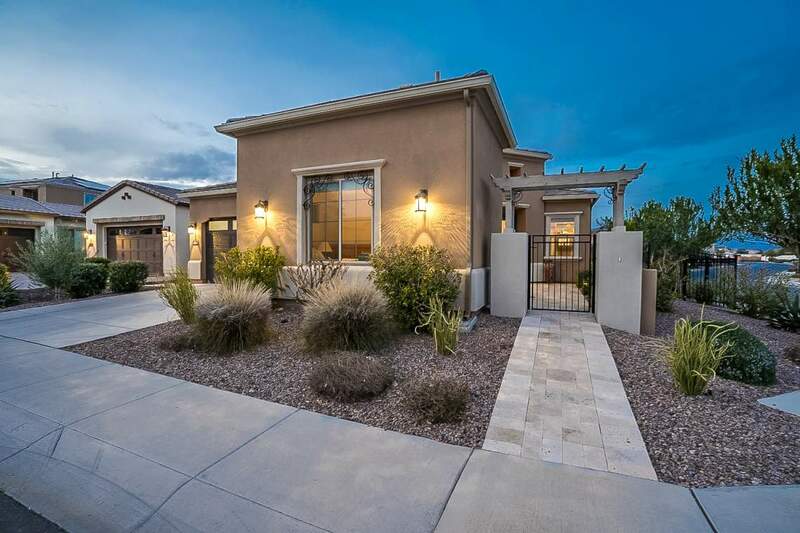 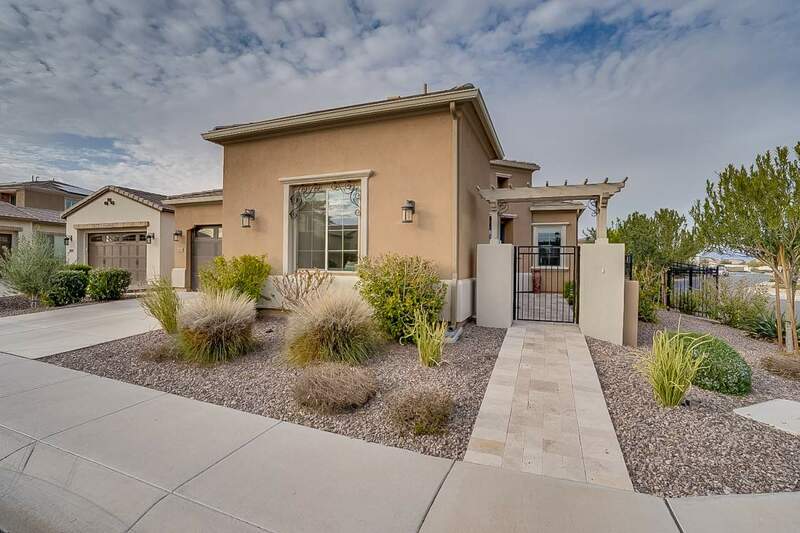 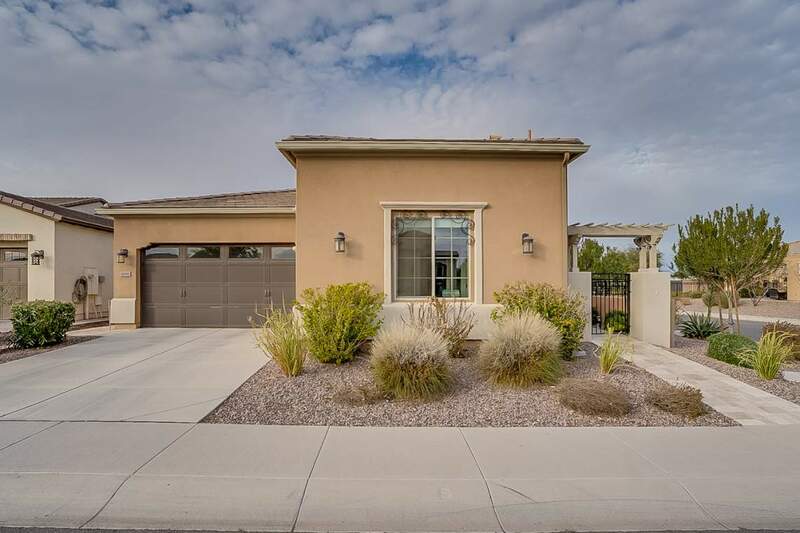 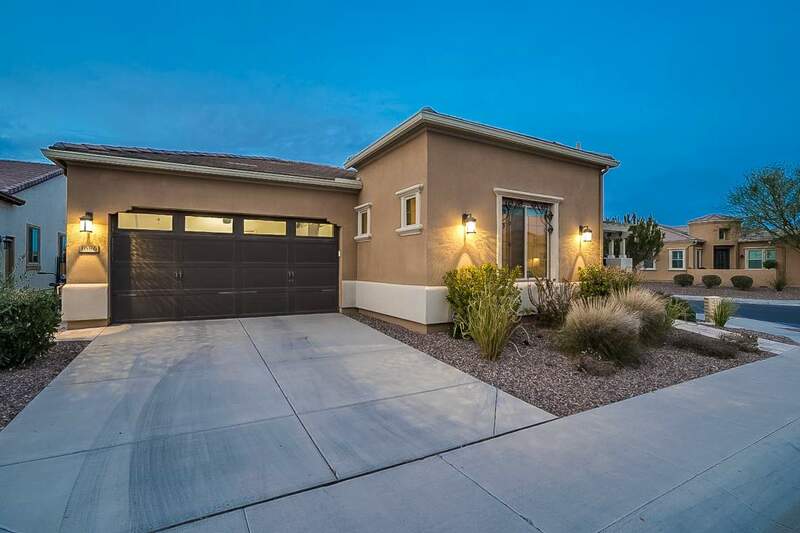 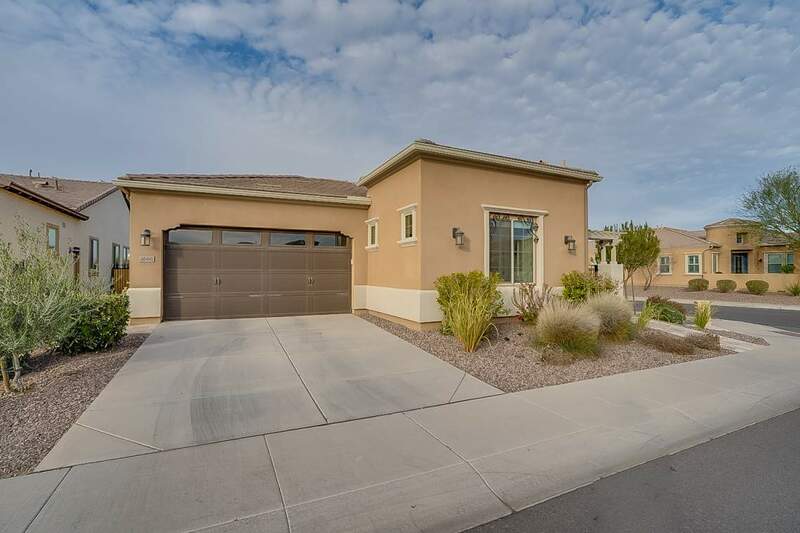 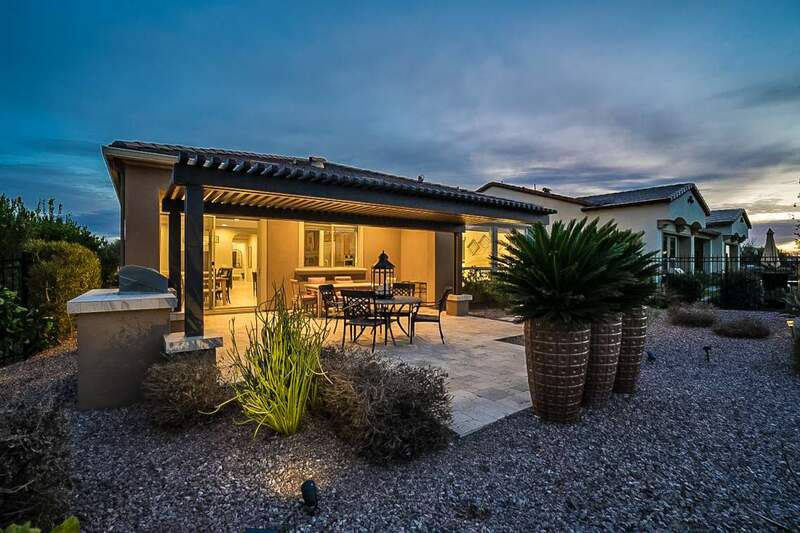 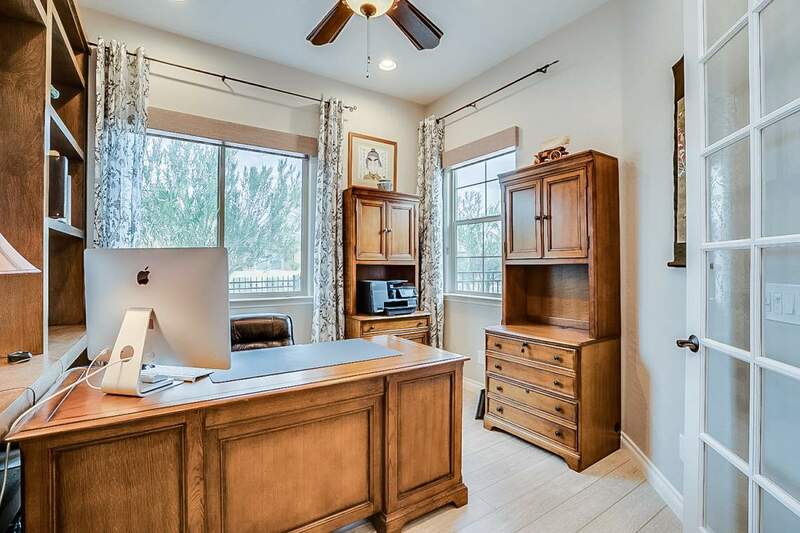 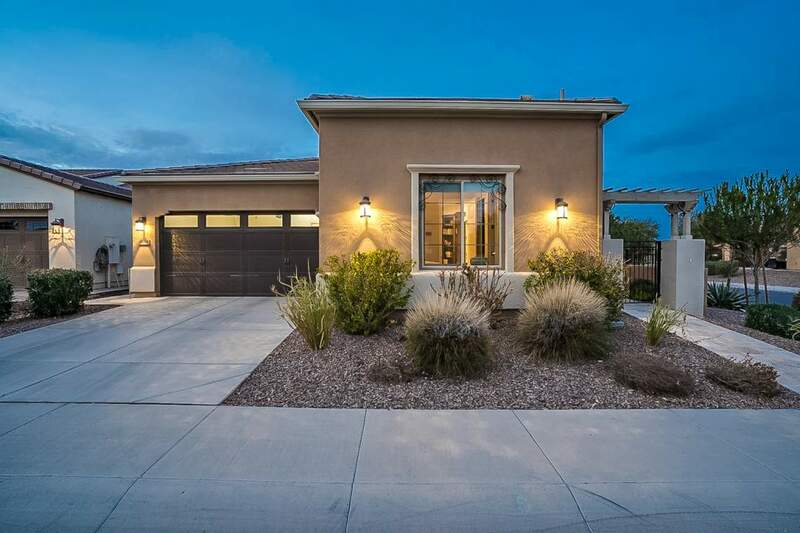 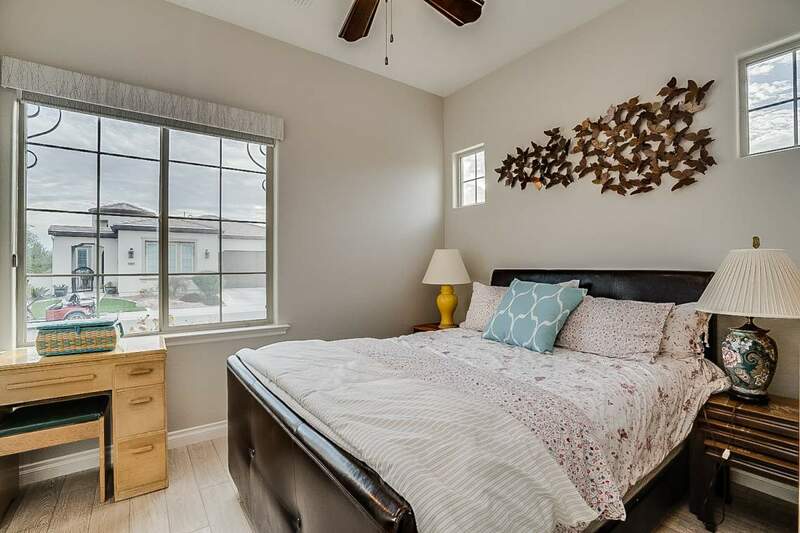 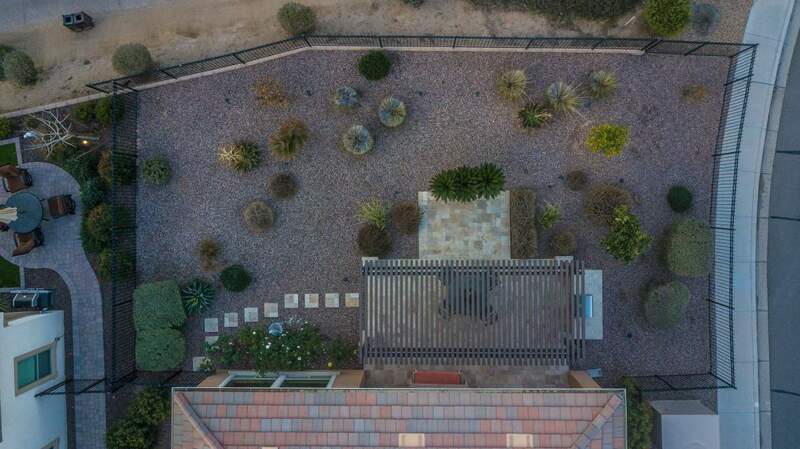 This home offers an attached casita with separate entrance that is perfect for friends and family. 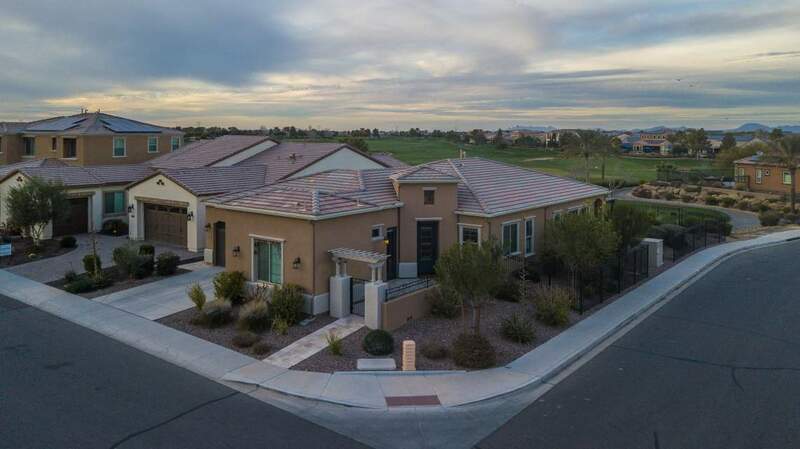 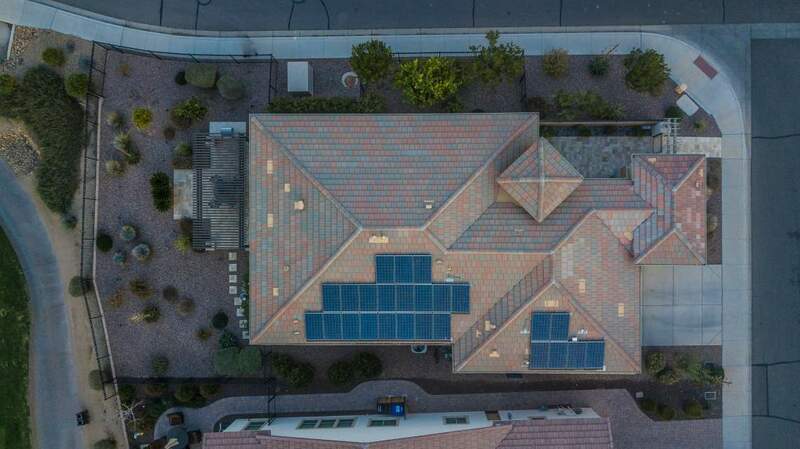 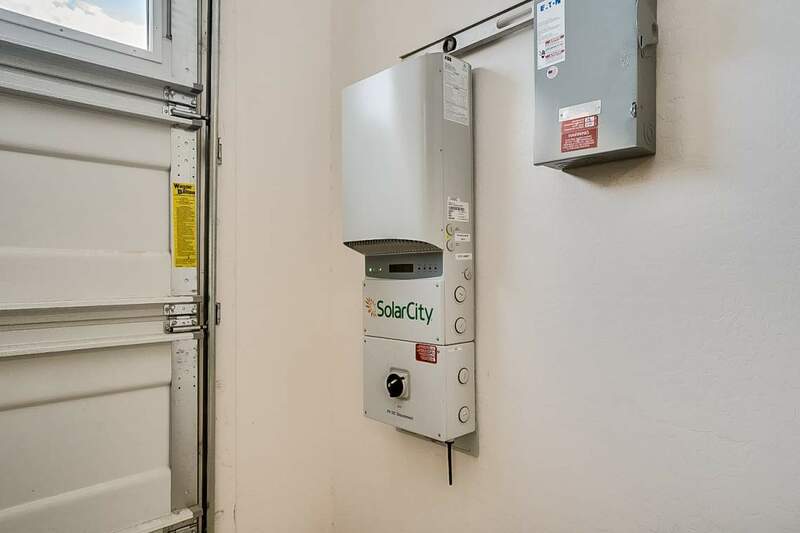 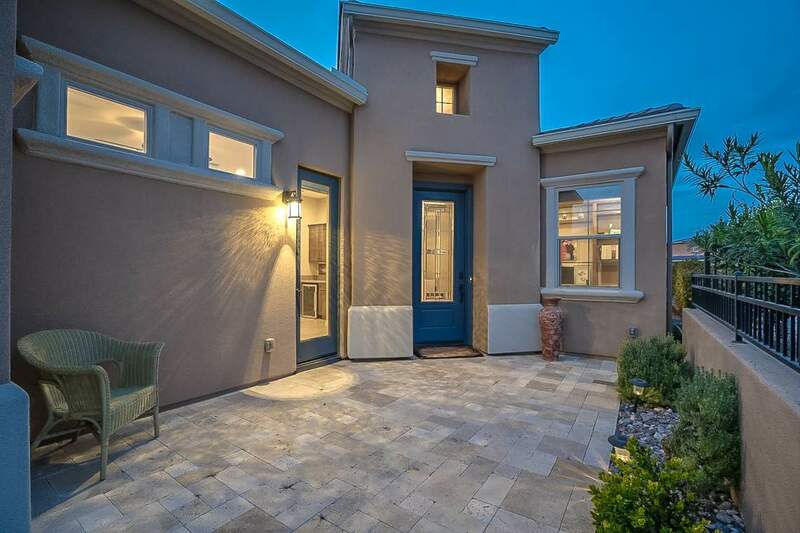 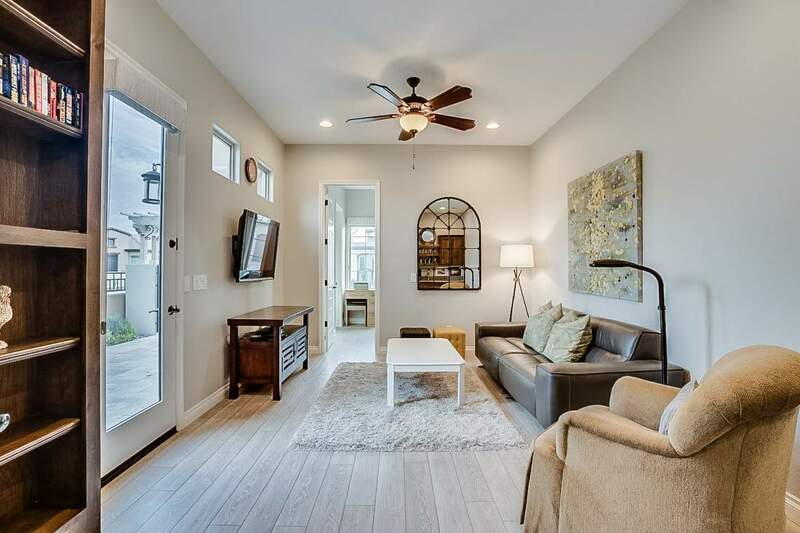 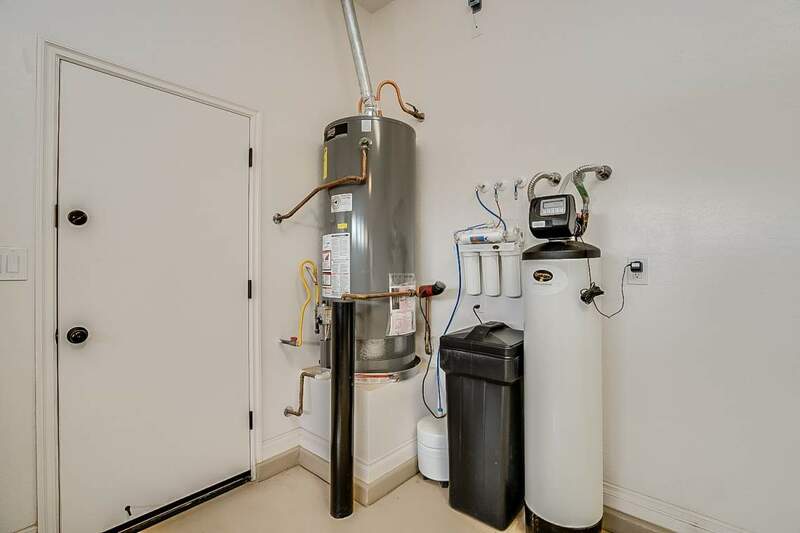 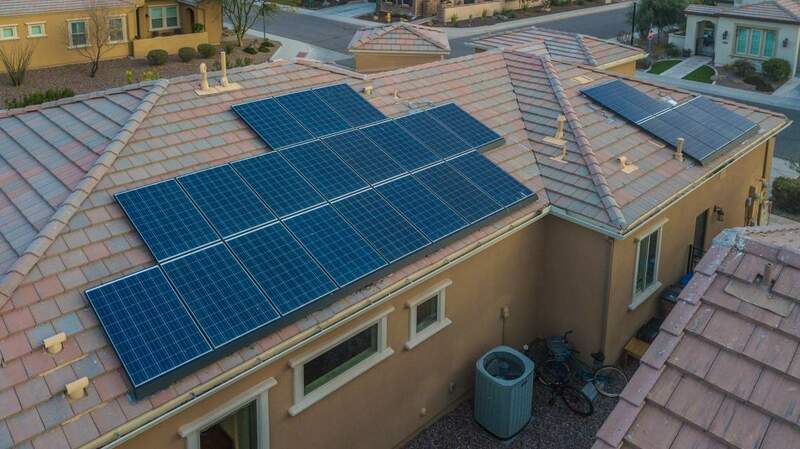 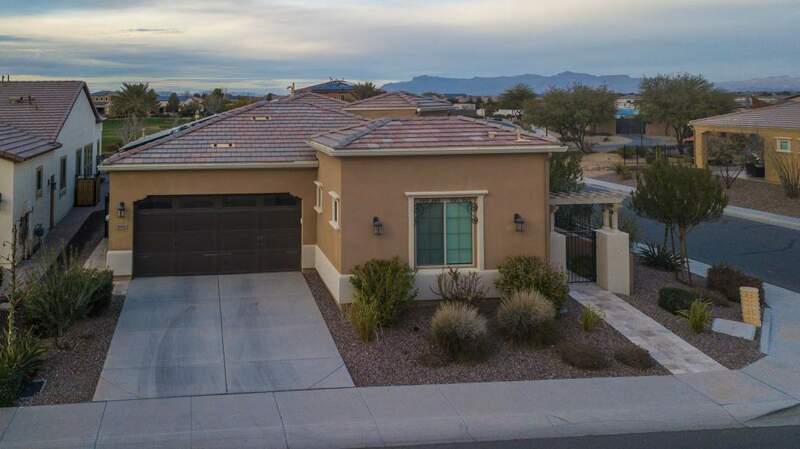 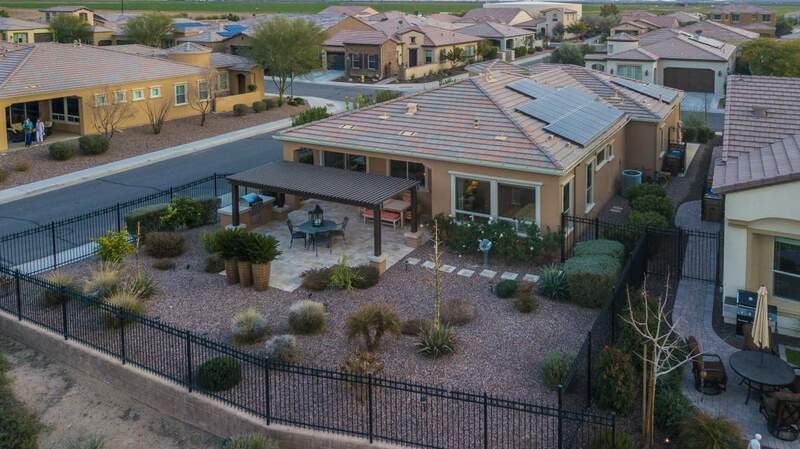 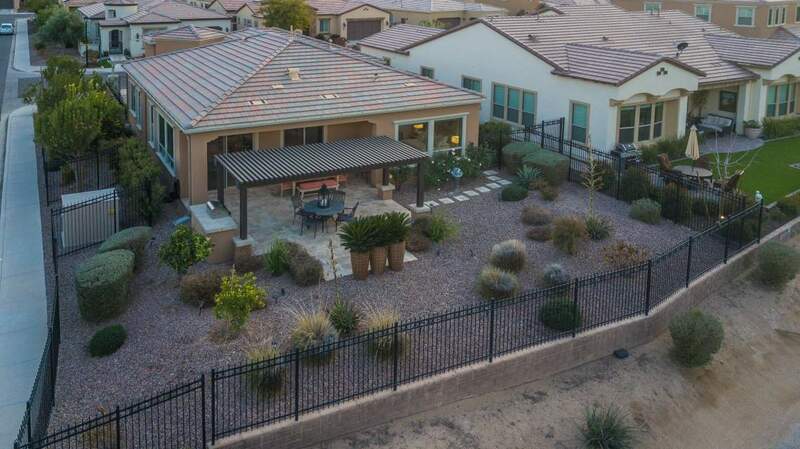 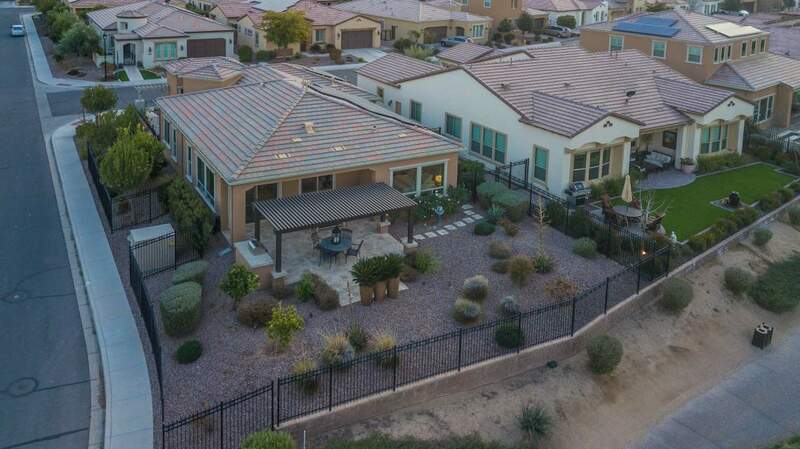 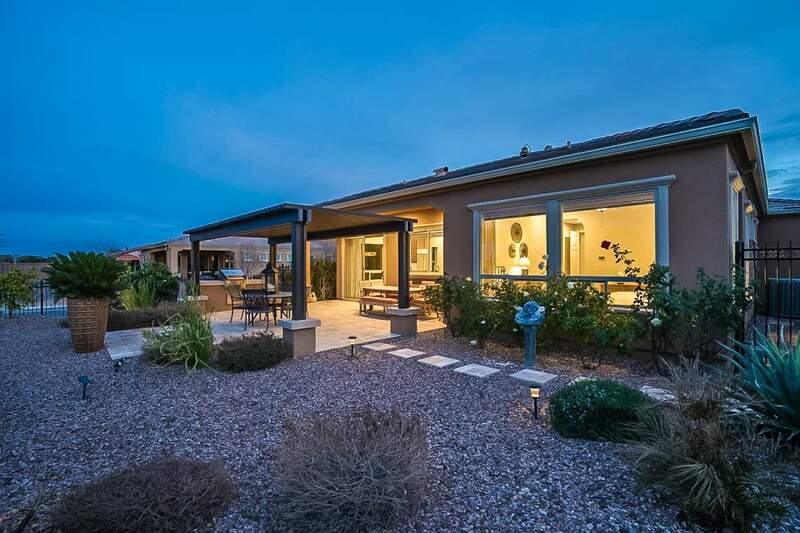 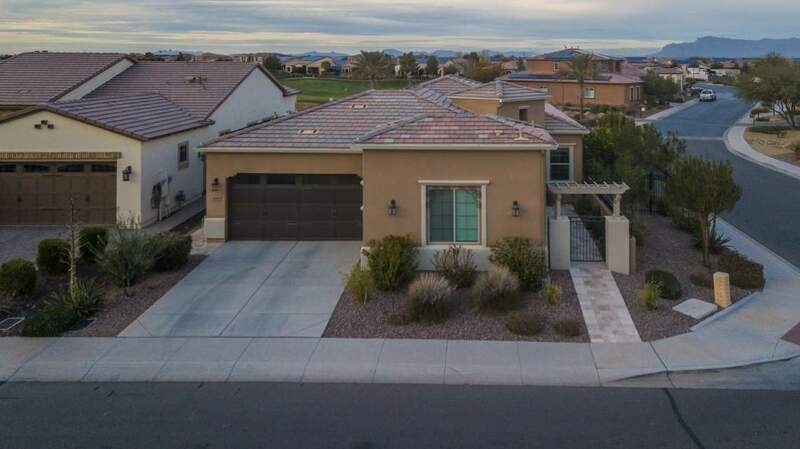 This home even offers a PRE-PAID solar system for top of the line energy efficiency. 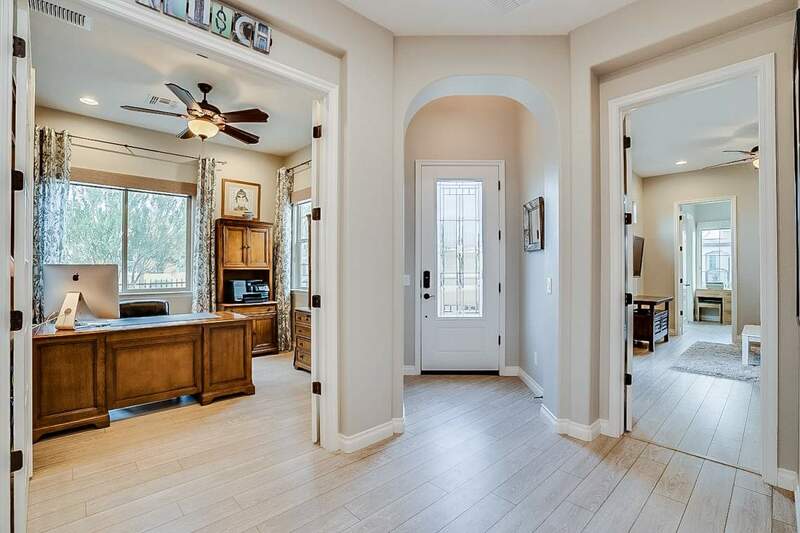 From the moment you step inside you’ll know this home is special. 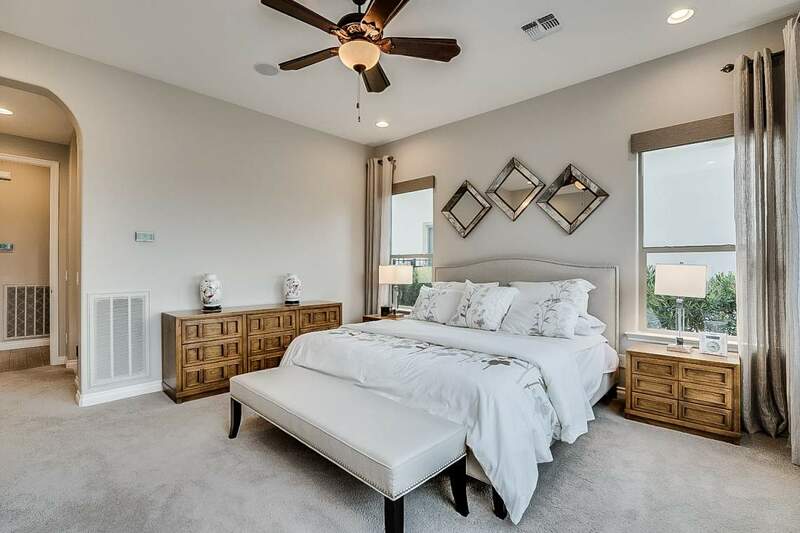 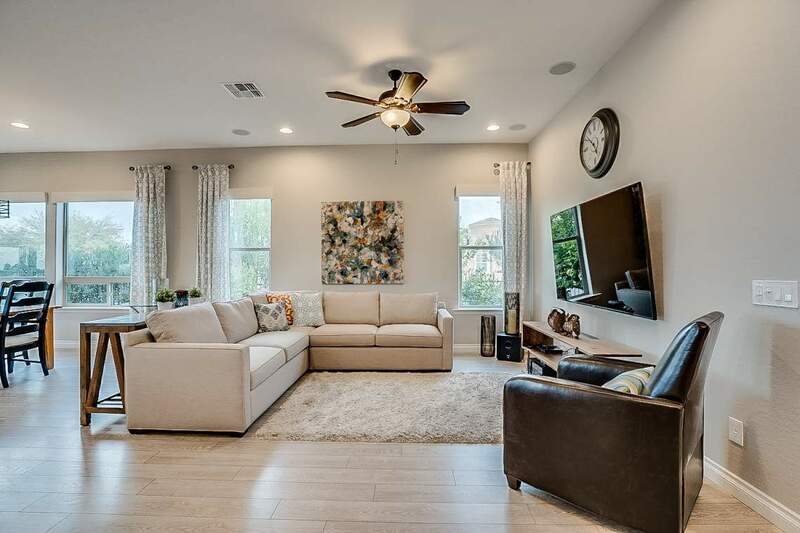 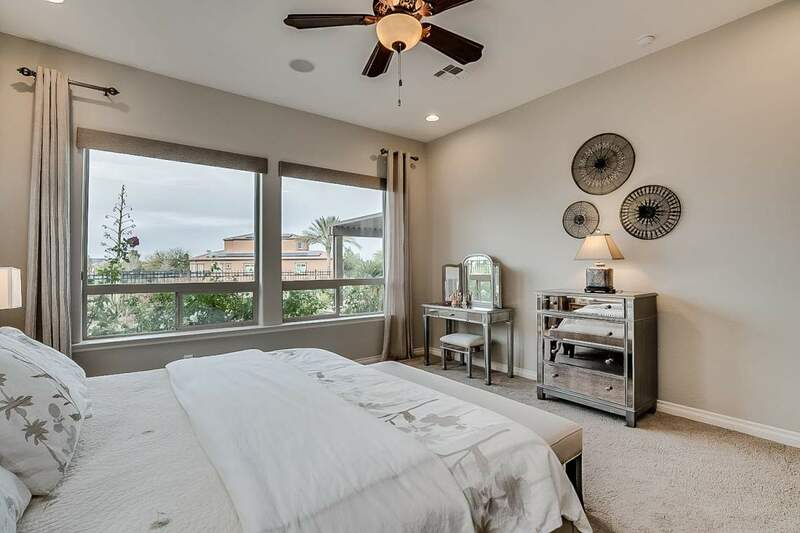 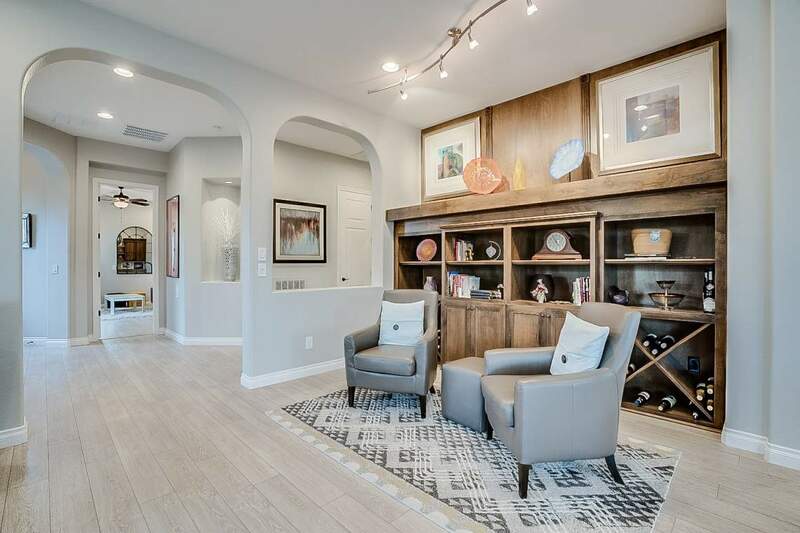 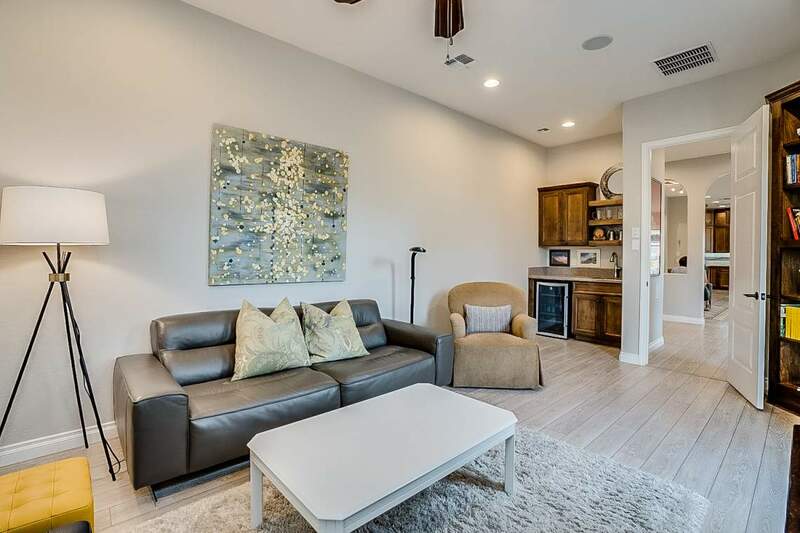 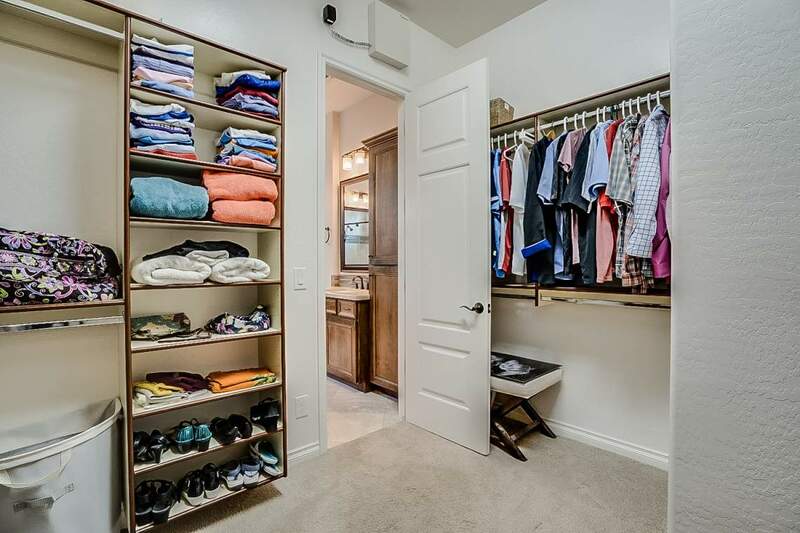 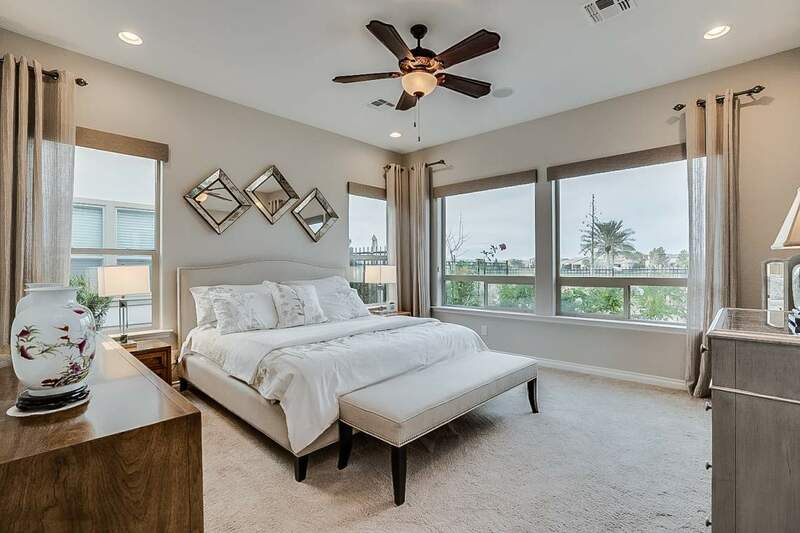 You’ll find built upgraded flooring, custom tile work and a gourmet kitchen you will love to cook in. 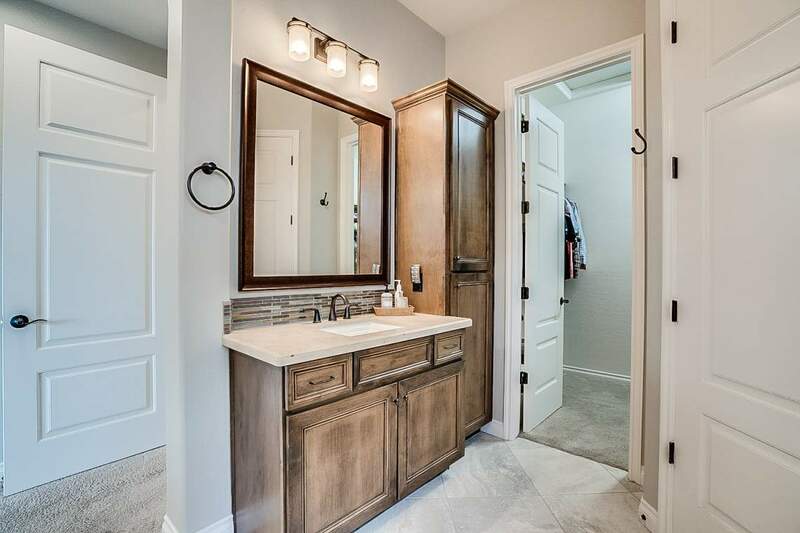 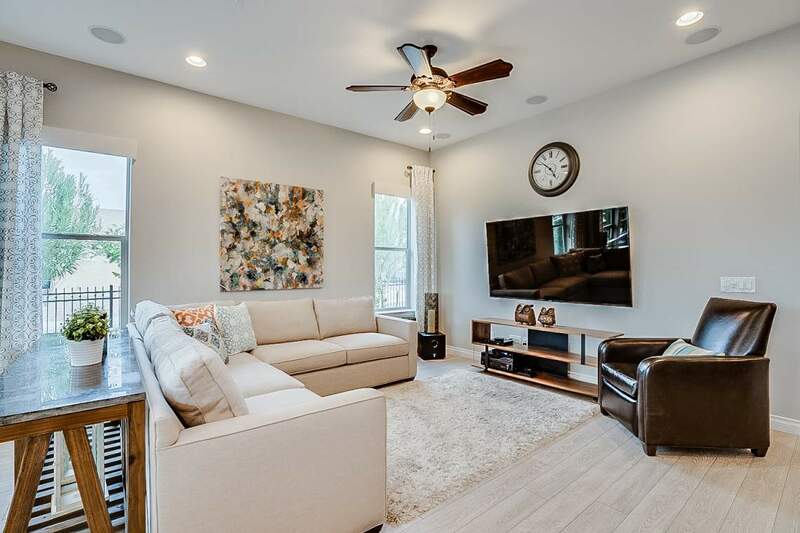 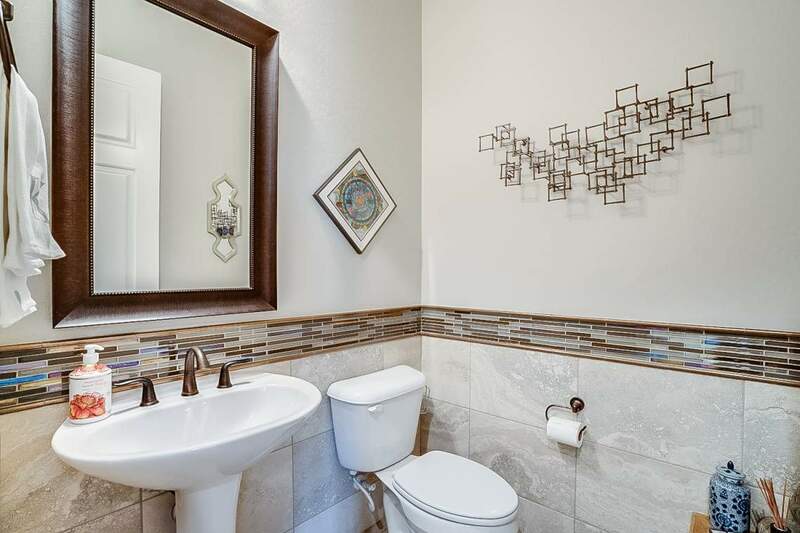 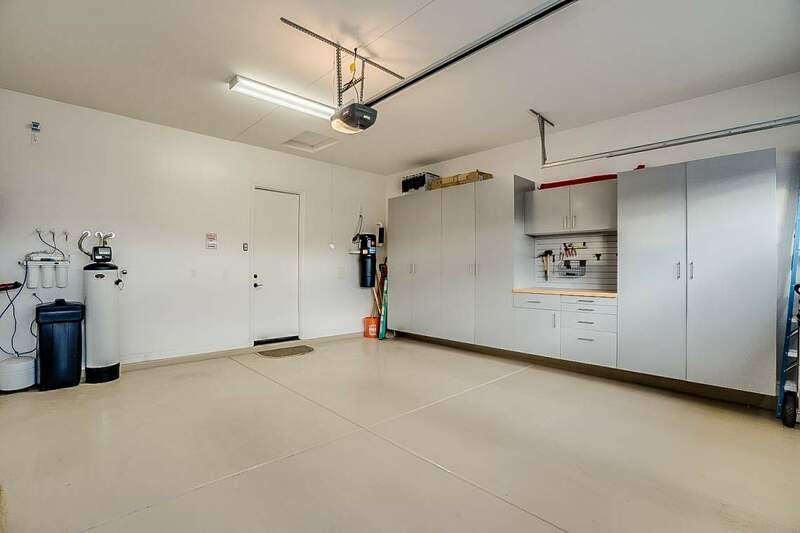 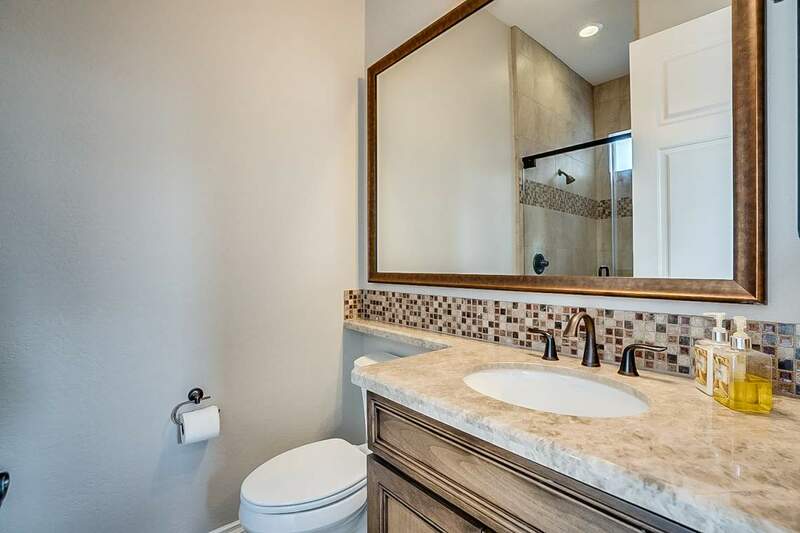 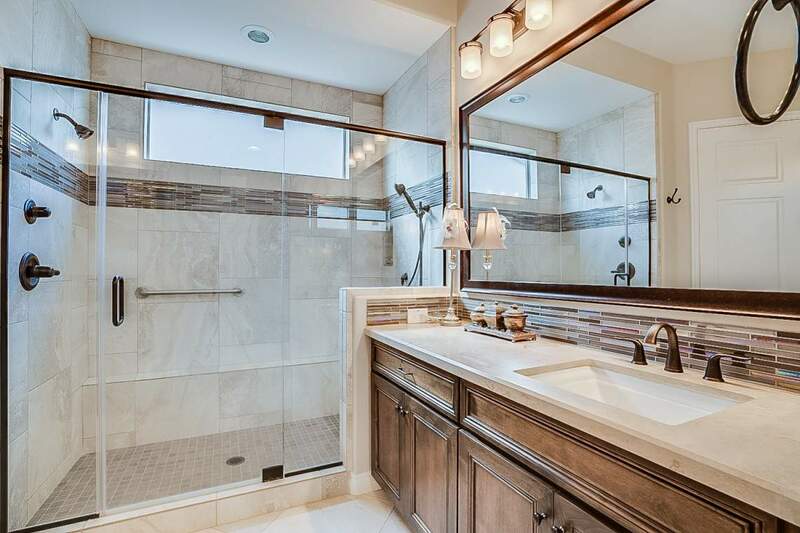 This home offers well over $225,000 in upgrades. 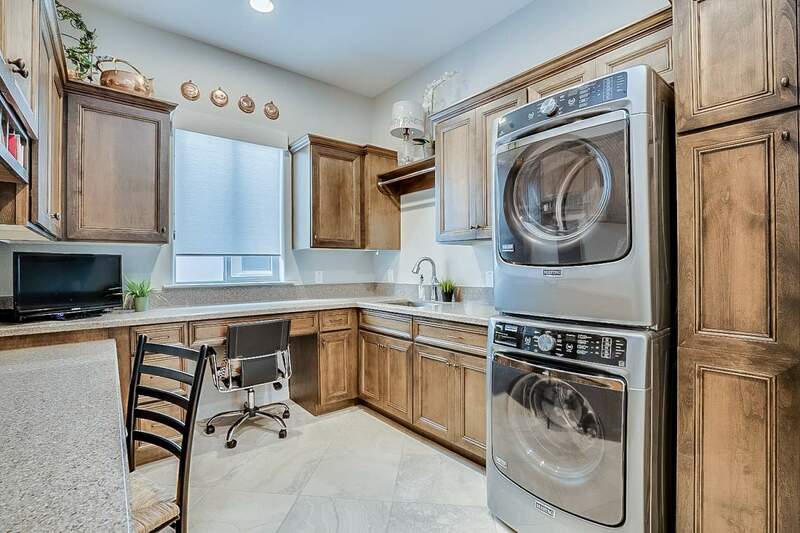 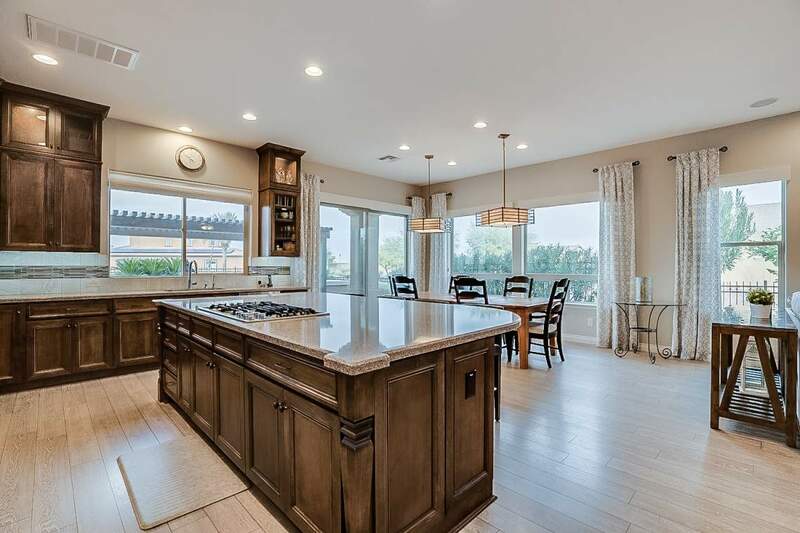 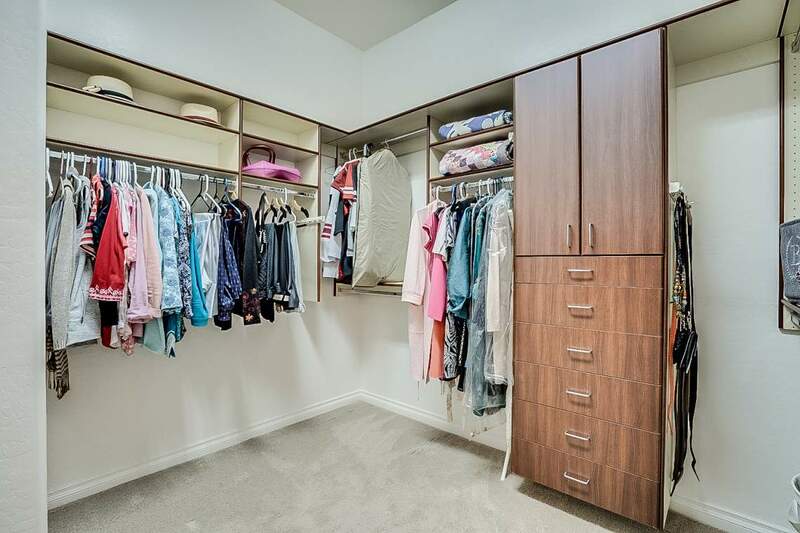 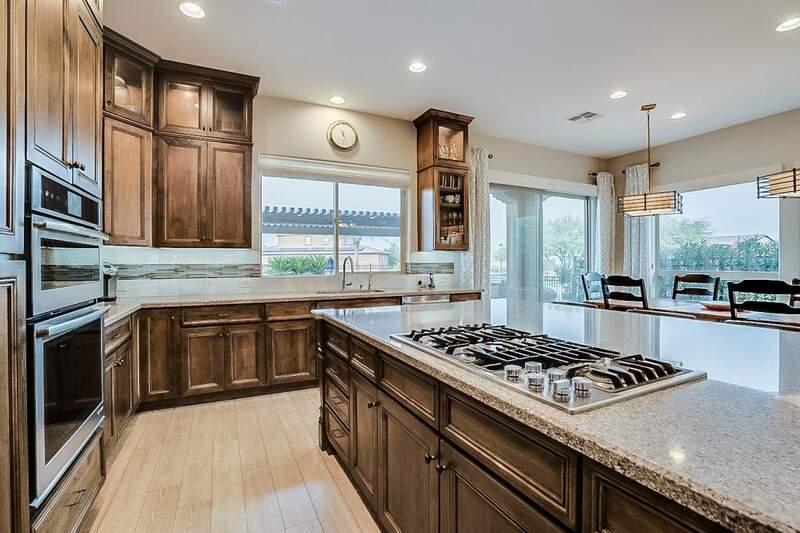 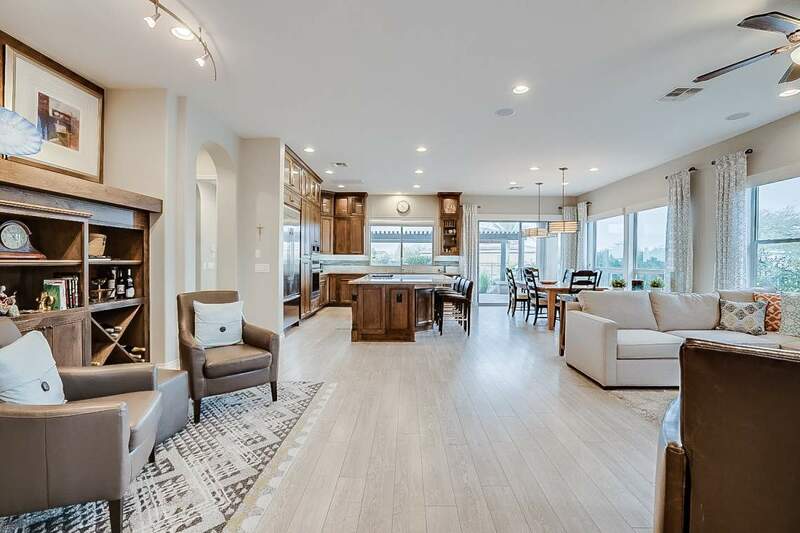 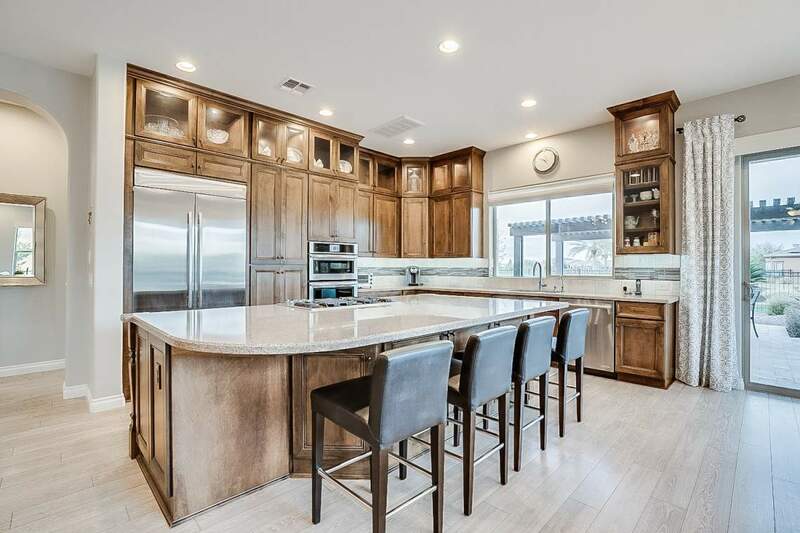 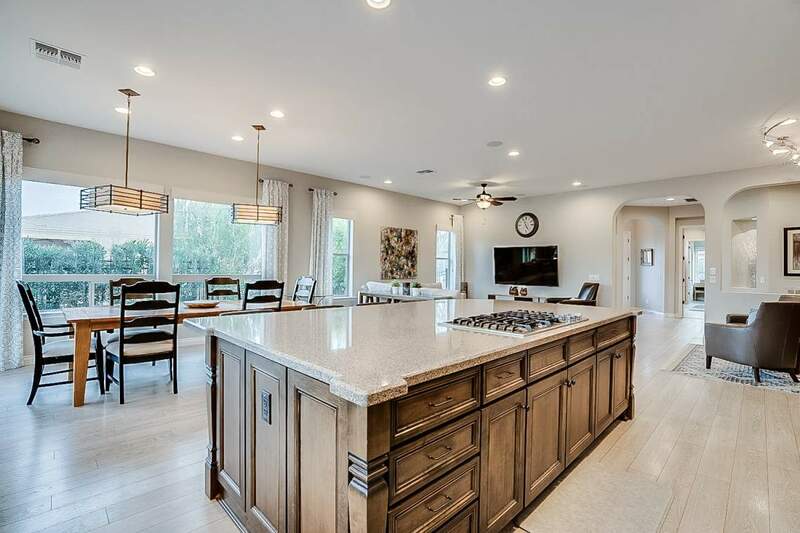 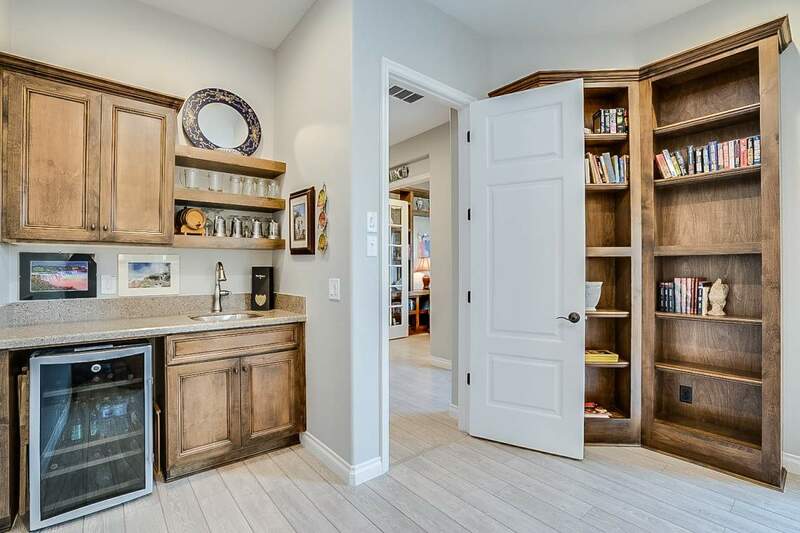 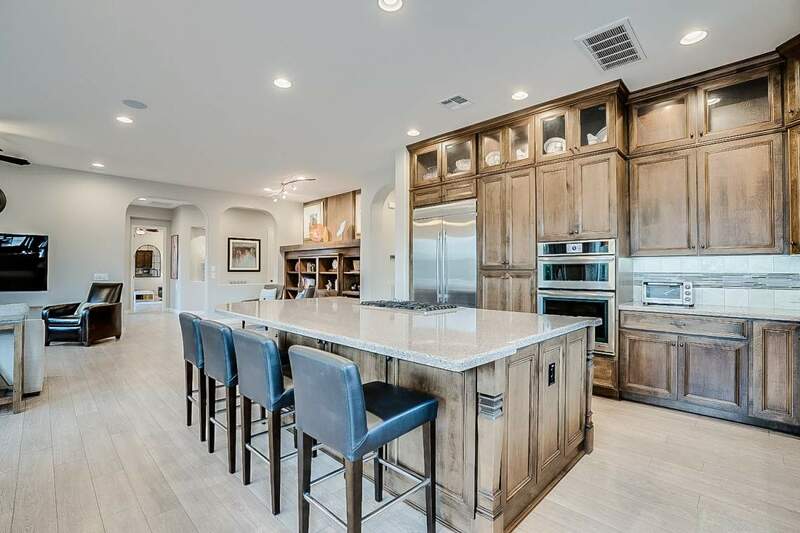 The kitchen is well appointed with floor to ceiling alder cabinets, stainless steel appliances and an over-sized kitchen island that creates the perfect space to entertain. 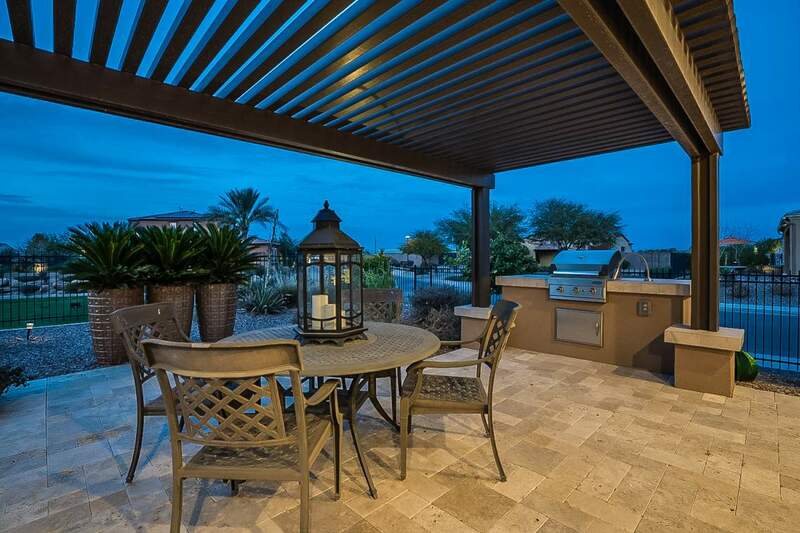 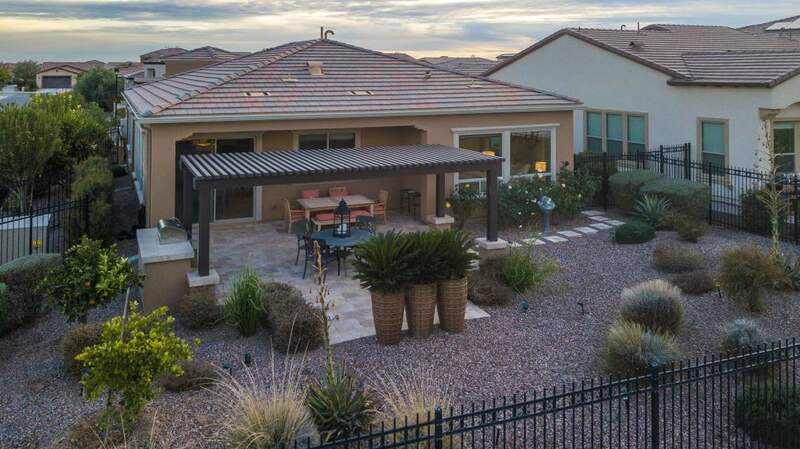 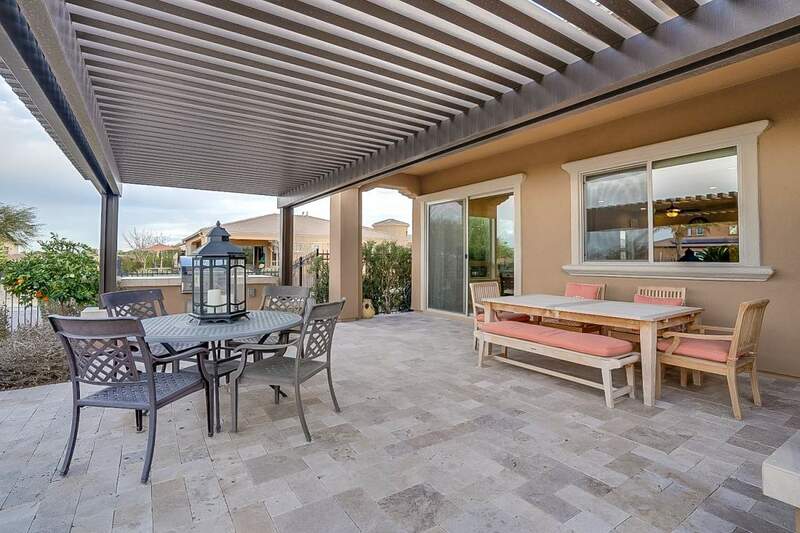 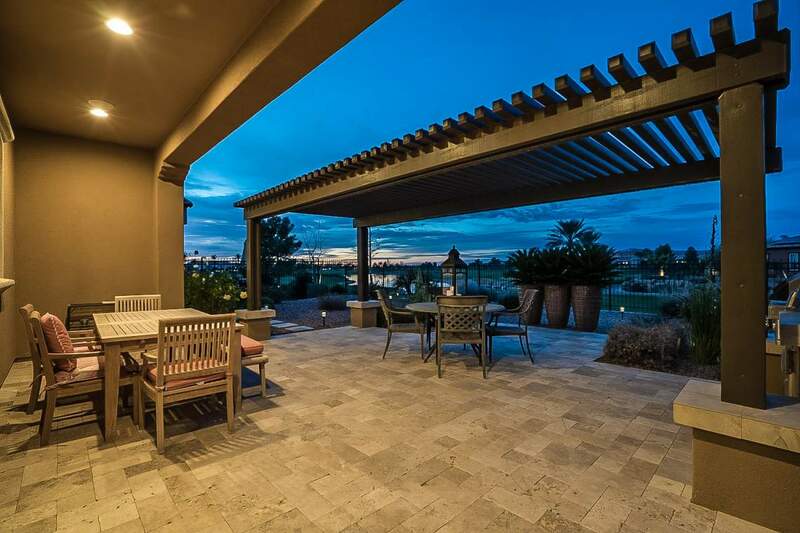 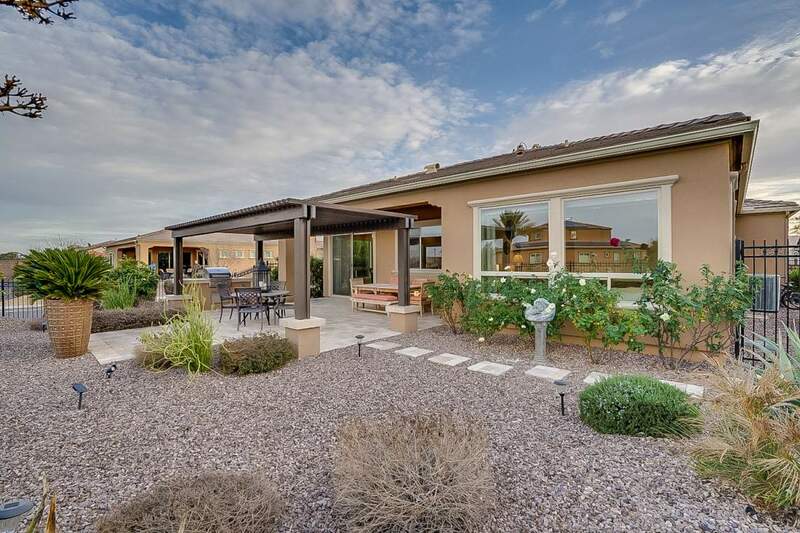 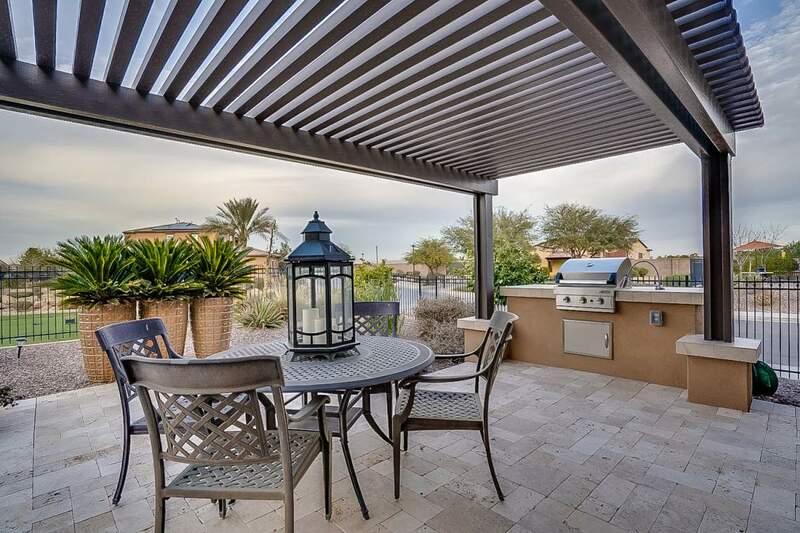 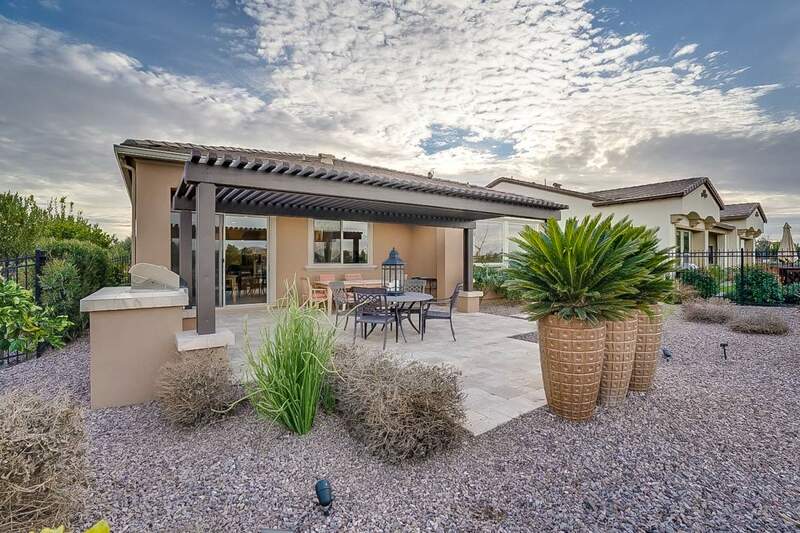 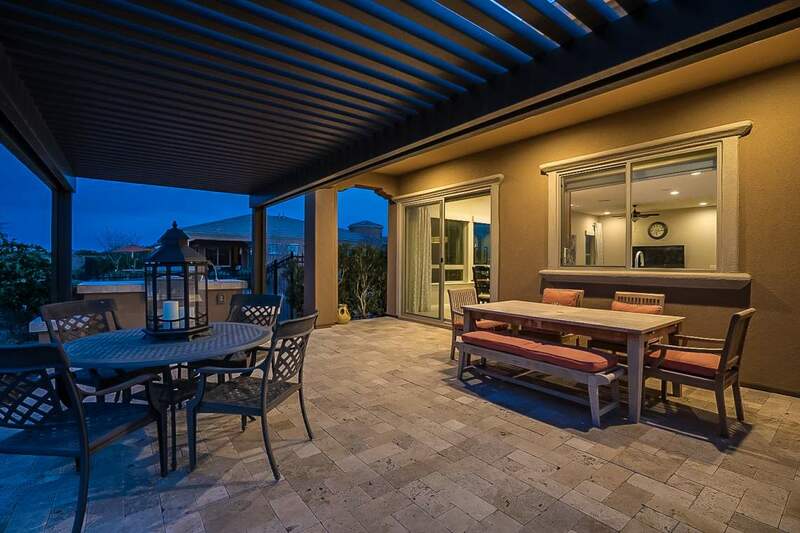 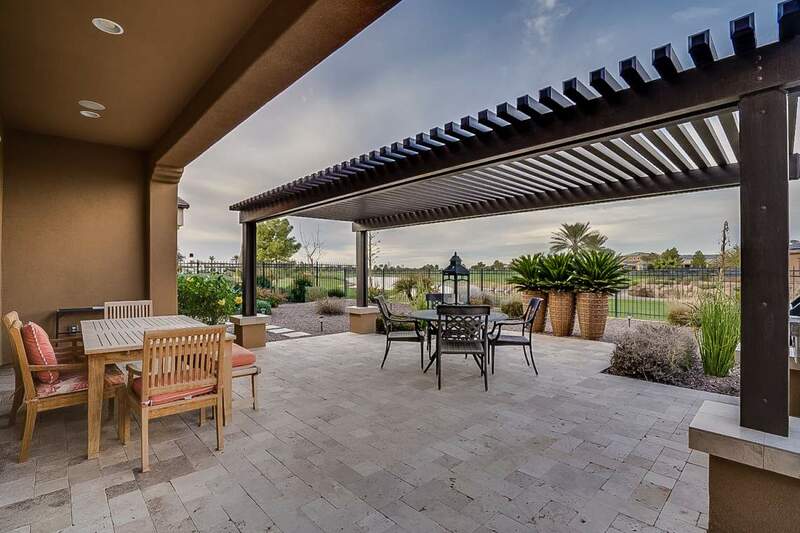 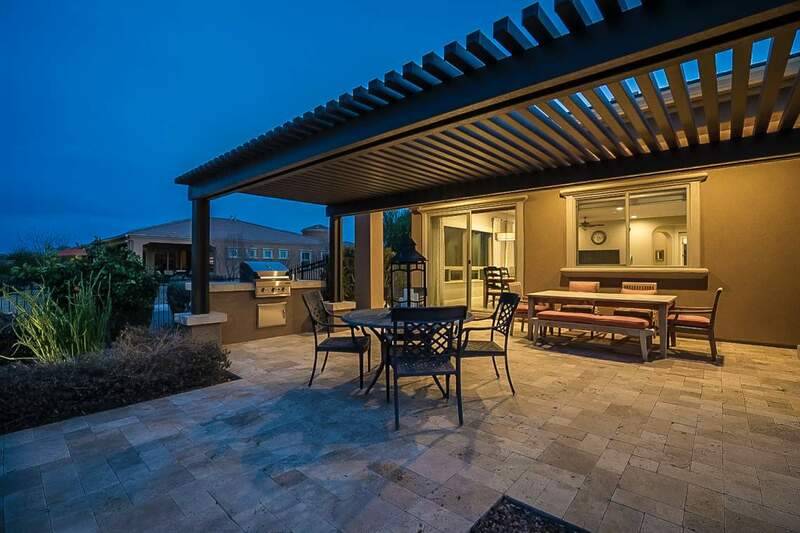 Enjoy the golf course views on your patio. 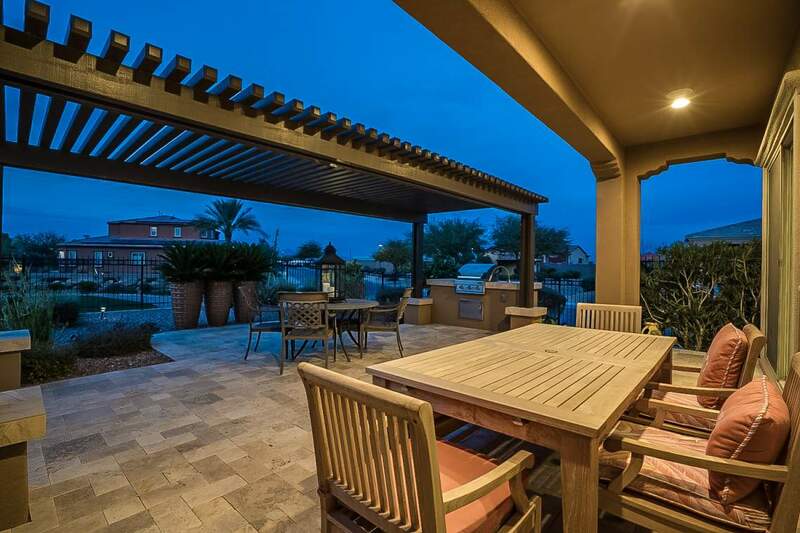 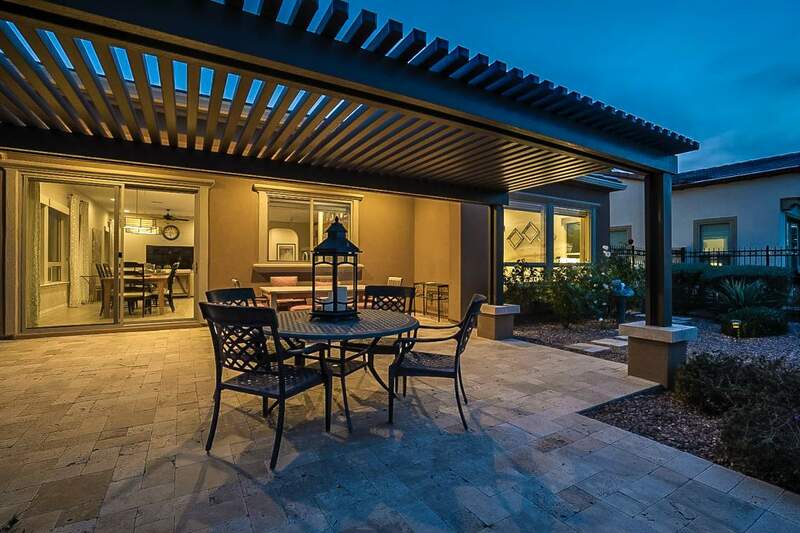 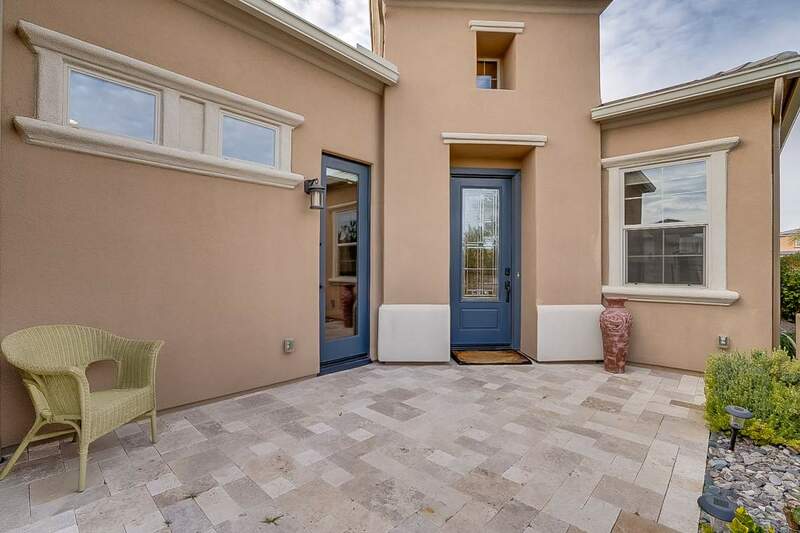 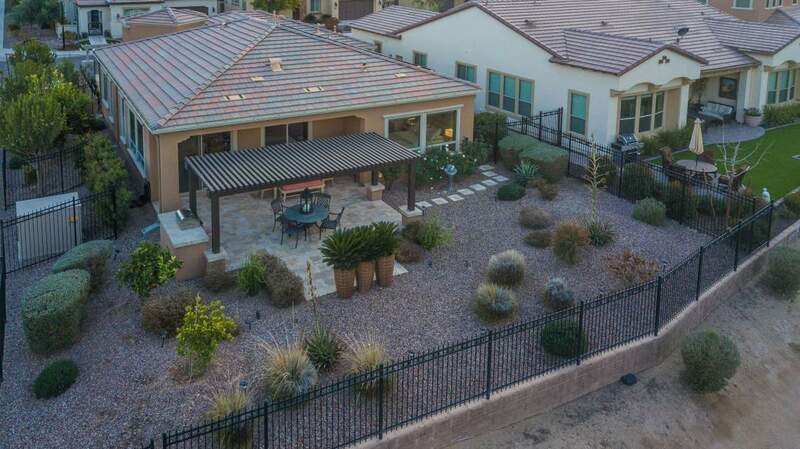 You’ll find expanded travertine pavers, custom pergola and built-in grill. 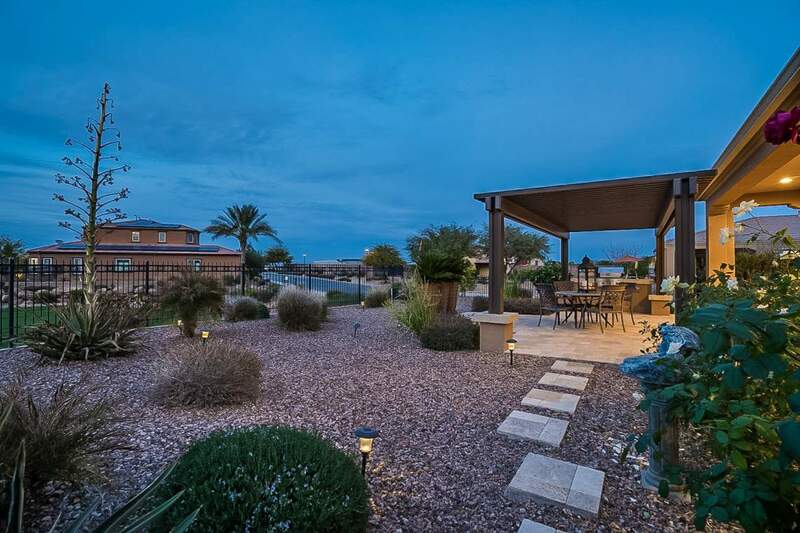 Start enjoying the good life that you deserve at Encanterra today.